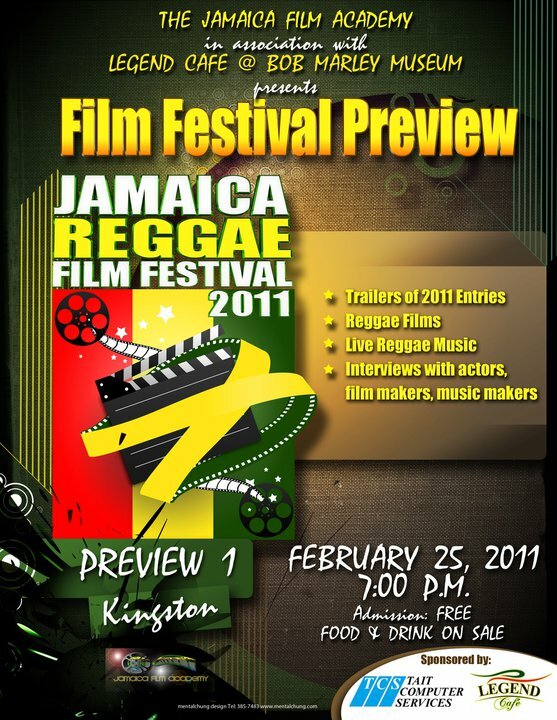 February 25th there will be a preview of the Jamaica Reggae Film Festival 2011 at the Legend Cafe, Bob Marley Museum on Hope Road. This film festival will showcase feature films, documentaries, short films and music videos featuring Jamaica’s reggae music and culture. The festival is presented by the Jamaica Film Academy, a non-government organization funded by private sector sponsorship. The festival will take place at Whitter Village from May 23-27.